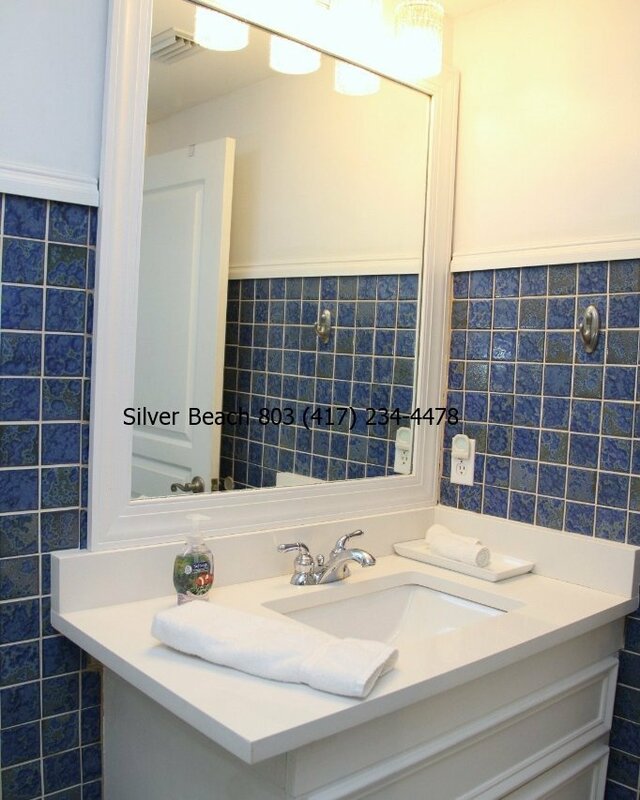 This 2 bed, 2 bath fully equipped beachfront condo has everything you need for your beach getaway! 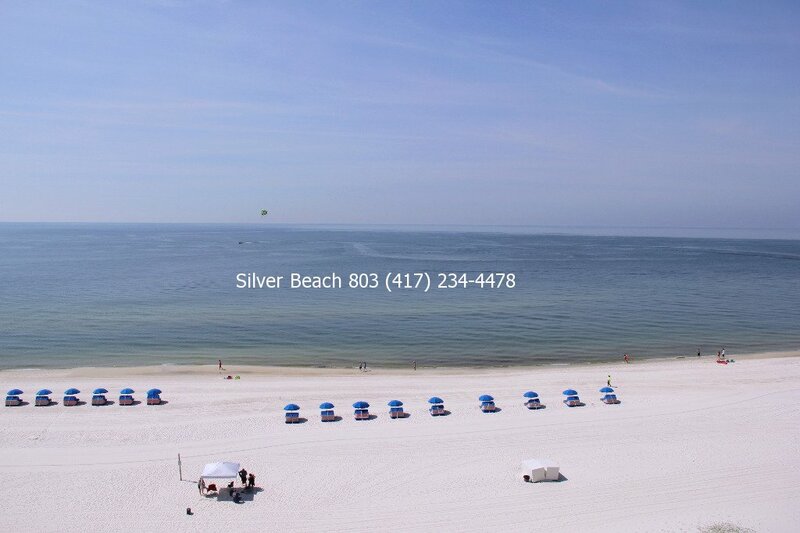 Sugar white sand is just steps away from the condo, with miles of beautiful clean shoreline to explore. Enjoy spectacular views of the Gulf of Mexico from the 8th floor glass front balcony. 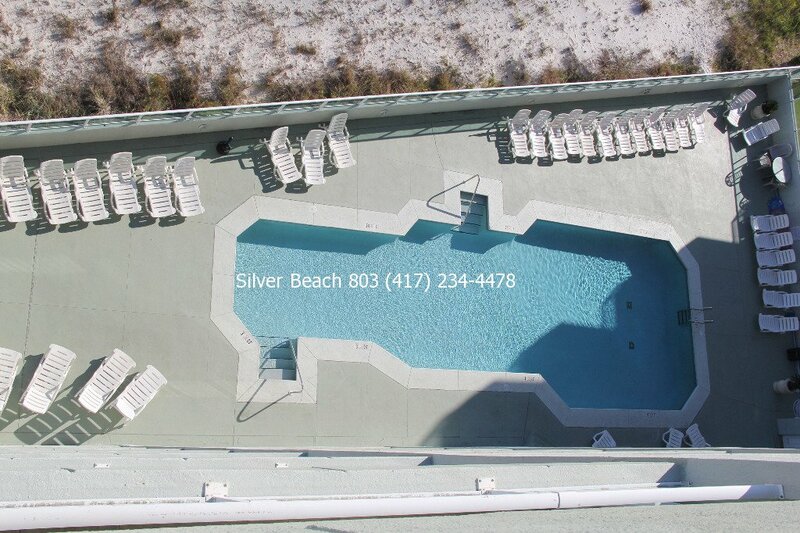 Our privately owned condo has direct access to the beach as well as a private pool for owners and guests. Conveniently located near shopping, restaurants, and local attractions, this top floor condo allows a no stress retreat with all the comforts of home. 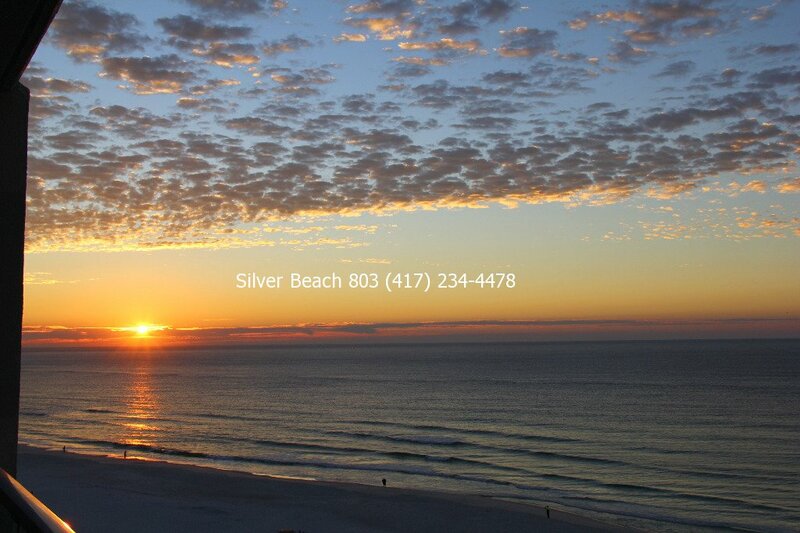 Silver Beach 803 is pet friendly, so ask us about bringing your small furry family member. Contact us for a quote and book direct – no booking fees! Located directly on the beach! Shopping and restaurants directly across the street, many options nearby. Close to area attractions. 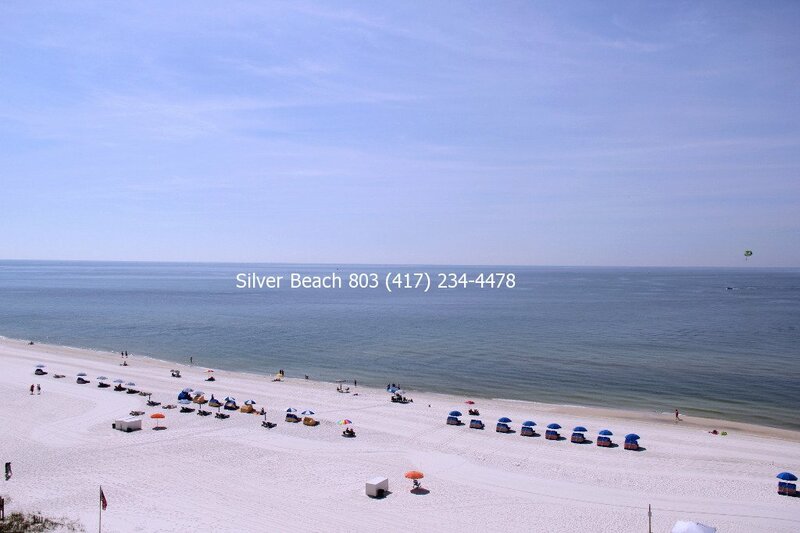 At Silver Beach 803, we provide you with everything you need for a great beach get away. Direct beach access – walk out the back of the building directly onto the sugary sand beach. No roads to cross, the beach really is in your back yard! Free wi-fi – stay connected with family and friends with password protected wifi. Keyless entry – no need to keep up with a key while you are here. Our keyless entry keeps you worry free while at the beach or out enoying the area. Fully equipped kitchen – Make all your favorite meals when you don’t feel like eating out. A full set of cookware, dishes and appliances are provided. Non-smoking – Unit is non-smoking, no exceptions. Washer/Dryer in condo – no need to leave the unit, full size washer and dryer are just off the kitchen. Top Floor – our 8th floor condo provides the best panoramic view and you won’t hear any actvity above you! Private balcony – glass front balcony allows great views of the gulf, but separates you from neighboring units. Restaurants and shopping nearby – So many local unique restaurants it is hard to choose. And a Walmart market is right across the street (with Walmart prices!) along with other shops, restaurants and services. Other great restaurants are just a short drive. Full refund if cancelled more than 30 days prior to check in date. No refunds if cancelled 30 days or less prior to check in date. 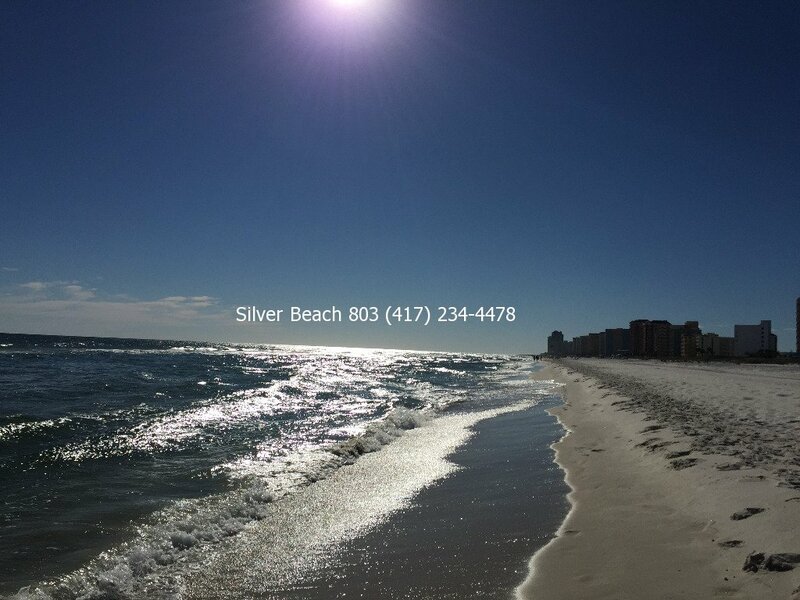 Our love of the beach led us to Orange Beach, AL and the beautiful white sand beaches. 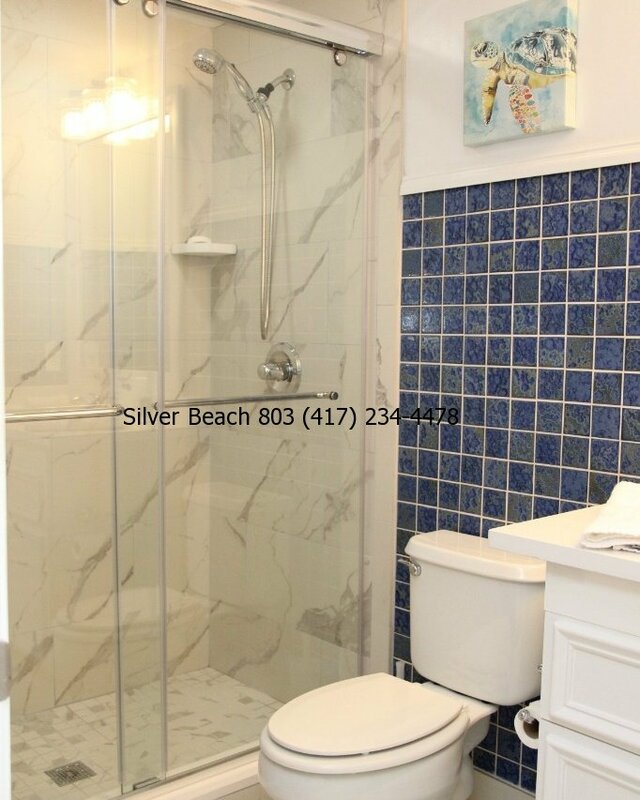 Silver Beach is in such a great location, with proximity to so many restaurants, shopping and local amenities that we couldn't have found a better place to call our own. 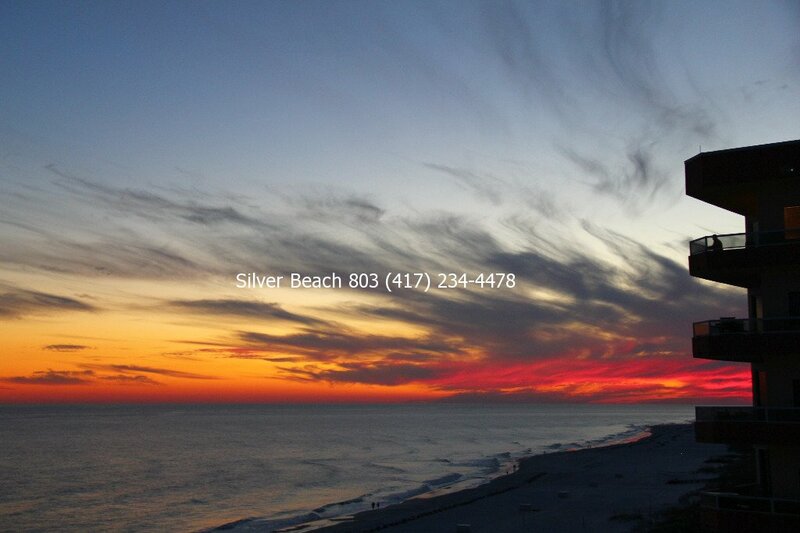 Super experience at Silver beach #803. Would highly recommend this condo to Orange Beach visitors. Great location, very clean, lots of extras in the condo to make this an enjoyable vacation. Owner very helpful!! We enjoyed every minute. Will probably come again if we can. Brenda and Steve were wonderful. They were quick to respond and called us on arrival day to make sure we made it safely and to make sure the condo was clean and ready upon our arrival. The condo has a great location and had everything we needed for our stay. We walked to restaurants and Walmart. We will definitely be back! Thank you for a relaxing vacation. Excellent location on the beach! 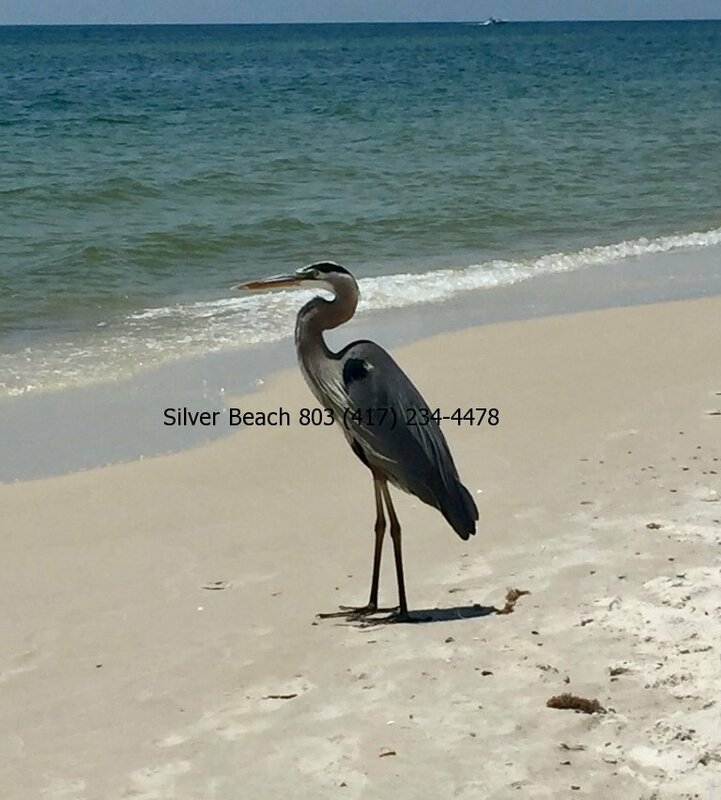 We have stayed at several condos on the beach and we love this location and that it is a pet friendly condo! We will be back! A wonderful, well-appointed vacation spot. It could not have been better! This condo and beach checked off everything on our wish list for our family vacation! Amazing views with dolphin sightings almost everyday. Condo was plenty big enough for the six of us. Great size balcony with living room and master entrances. The beach wasn't that crowed, especially for July. The beach staff was very helpful. The owners were great communicators. Helped us every step of the way. Answered all questions we had. I would certainly bring my family here again! Thank you for sharing your piece of paradise with us! Property was very nice and felt like a second home. We truly enjoyed our stay!! Brenda was so helpful and accommodating!! We will definitely be coming back!! Perfect size for our family! This place is absolutely beautiful! We have been to orange beach/Gulf shores several times before this and have stayed in various hotels and beach houses and this has been our favorite out of all of them. The size was perfect for our group (my husband and I with our 3 year old and my sister and her husband as well). The master bedroom had plenty of space for our child’s portable crib to be set up and it never felt crowded. The view from the balcony was breathtaking and watching the dolphins play in the morning was an extra special treat! The condo was very clean and beautifully decorated. The owners were wonderful, calling us the day of check in to make sure everything went smoothly. For any future beach trips this little condo will be our first choice when planning our stay.